Many people that have never played golf believe that its a simple game that you can walk into with ease. However, its quite the opposite and requires progressive training over long periods in order to perfect the game. 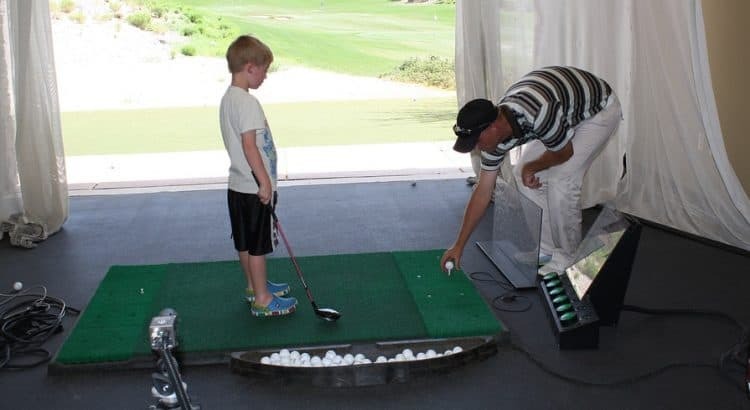 Luckily, there are various training aids for golf that allow you to practice on and off the course in your own home. Not everyone has the time or ability to get to the course every single day but training aids that you can use at home can really help out with your training, which you can then use on the course. The obvious training option for golf that allows you to hit as many balls as you want are practice nets. There are various choices but they come down to two choices. A standard golf hitting net is one that can be set up indoors or outdoors and allows you to smash any club into the net. Many come with targets but the most important feature you want to look out for is build quality of the actual net. A golf ball at full force takes some slowing down and you do not want it going through the net. For those that have their distance and striking ability perfected, you may opt for a golf chipper net. This provides a target (or several) to simply chip the ball into. Its great fun and normally much easier to setup than a hitting net. The short game on the green is where many people struggle and keep them at their high handicap. However, investing into a putting training aid can help out and they are quite fun for the family or even drinking games with friends. An indoor putting green is one putting training aid that comes in a range of sizes and different designs. If space is limited but you still want a target practice that will return the ball, you can opt for a putting machine. These come in various shapes and sizes but in essence, its a target with a sensor that return the ball when you get it in the target. With the advancements of technology and smartphone connectivity, training aids have certainly been upgraded. If you have a large budget, you can invest into a home golf simulator and play various golf courses in the comfort of your own home. The most popular technological golf training aid is a swing analyzer. They provide instant real time data that will connect to a range of devices and even store data for later analysis. The best golf swing analyzer will provide feedback via graphics and metrics such as club speed, club plane, tempo and back swing length. Only practicing whilst you are playing a round a golf will not see instant results. Using some of the home training aids shown above will allow you to train in the comfort of your own home, which will show results on the course. You can view all our golf training articles and choose the devices that will help improve your game.